Salams and hey kiddos ...... if you're too young to offter salat, make sure you stop your monkey business when you watch your family offering salat. When kids are too young and watch their parents and older siblings pray, they do sometimes carry out these funny little acrobats. But elders need to explain to them very lovingly and patiently so they realize that offering salat is not playtime. That cute lil one on his dad's shoulders is much too young to understand the importance. 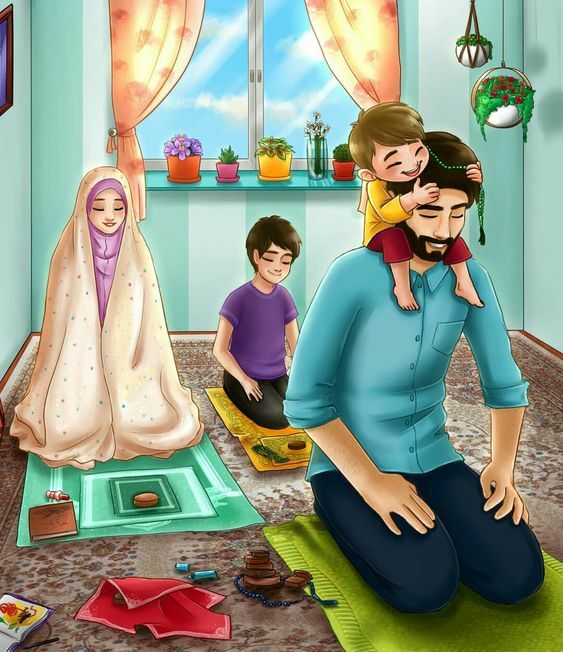 But yes, parents and older siblings should gradually make the lil ones understand the significance of salat time in a manner full of affection.